Within the telephone operators and cloud operators, there is a need for a service in English in order to meet the demands of foreign customers. It is a very important detail to have this done by a translator who has appropriate technical knowledge. The translation text then should be checked by an English native speaker and finally the English text should be re-checked before performing the voice-over. 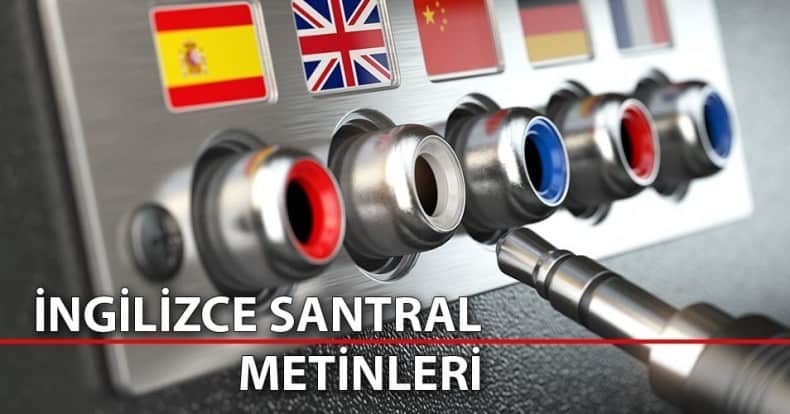 The voice-over agencies who perform English IVR voice-overs may demand the translation of a Turkish IVR text to English. We know that the agencies which have an English IVR voice-over service are important for the candidates who want to send their demos. We created this blog for this purpose. The candidates who want to perform voice-over and know English and have British or American accents can read the below texts for their demos. Below are the English texts that we have prepared for many companies. Welcome to the sahibinden dot kom Corporate Customer Support Line. All Support Line Representatives are giving service to other Corporate Customer Advisors right now. We will transfer you to a Support Line Representative as soon as possible. Thank you for your understanding. Welcome to the sahibinden dot kom Special Customer Support Line. All Special Customer Representatives are giving service to other customers right now. We will transfer you to your Special Customer Representative as soon as possible. Thank you for your understanding. If you are one of our corporate customer, press 2 to connect corporate customer relations center. Corporate Customer Relations Center gives service to only corporate customers. Press 2 to continue, Press 1 to connect to the Personal Customer Relations Center. You did not press any number. I am transferring you to the Personal Customer Relations Center. Please hold the line. Wellcome to Bosch Call Center. Your call will be recorded according to quality standards. You can also get your service registrations from bosch-yetkiliservisi.com. Welcome to Opel call center. Our dear customer, your call will be recorded according to quality standards. I am transferring you to our customer representative. Welcome to Bauhaus Call Center. Your call will be recorded in order to measure our service quality. Please wait, i am transferring you to customer representative.